This 10mm round Murano glass bead is known as white core due to the use an interior of white opaque glass with an exterior coating of transparent Effetre glass. In this case, blu inchiostro(blue ink) is the exterior transparent color, which gives off a rich purple color. 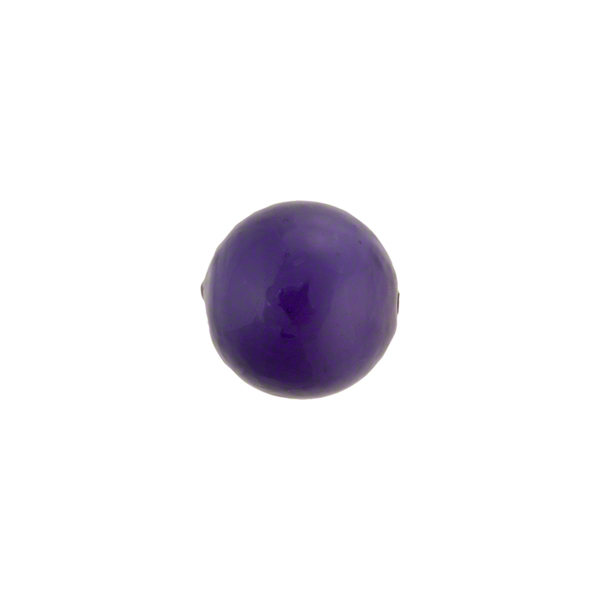 These can also be frosted for another great effect and they work with our other opaque color beads. The hole in these beads is approximately 1mm.